GEFF in the Western Balkans is part of the international EBRD GEFF programme. By showcasing technology alternatives and associated benefits, EBRD Green Economy Financing Facilities (GEFFs) demonstrate the business case for investment in higher-performing technologies, services and practices. This knowledge helps a network of more than 130 local financial institutions encourage the green growth of their clients by turning green opportunities into sound investments. The GEFF toolkit and Facility Consultants help to enhance green financing decisions and market practices in 24 countries – supporting their green economy transition. 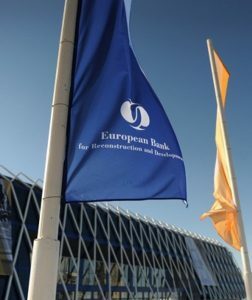 The EBRD has provided almost EUR 4.2 billion finance to date, and the programme has enabled more than 129,000 clients to finance their green investment opportunities, collectively avoiding more than seven million tonnes of CO2 emissions per year. Learn more about GEFFs in different countries and regions.